1 What kind of justice for human rights? Kurt Mills is Professor of International Relations and Human Rights at the University of Dundee. He previously taught at the the University of Glasgow, the American University in Cairo, Mount Holyoke College, James Madison University and Gettysburg College, and served as the Assistant Director of the Five College Program in Peace and World Security Studies at Hampshire College. He is also the founder and Convenor of the Glasgow Human Rights Network. His work is addresses questions related to humanitarianism, international criminal justice and the responsibility to protect, with a regional focus on sub-Saharan African. He is the author of two books - Human Rights in the Emerging Global Order: A New Sovereignty? 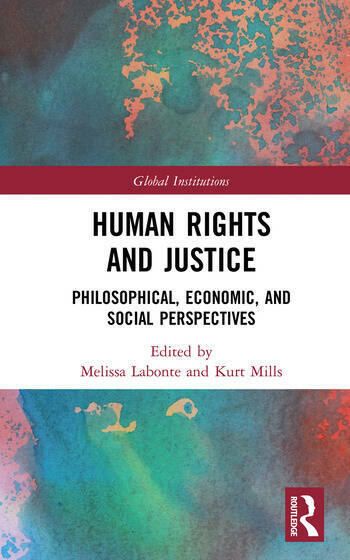 (Macmillan 1998) and, most recently, International Responses to Mass Atrocities in Africa: Responsibility to Protect, Prosecute, and Palliate (University of Pennsylvania Press, 2015) – co-editor of Human Rights Protection in Global Politics: Responsibilities of States and Non-State Actors (Palgrave, 2015) and co-editor of the Human Rights section of the International Studies Encyclopedia (Wiley-Blackwell, 2010).